Assembled were the greats of classic film and some new folks, including a young man not long out of Juliard, who had to put some meat on his frame. When he was done working out with Dave "Darth Vader" Prowse, and he put on the red and blue costume, he looked like a Curt Swan illustration come to life. We were told that we would believe a man could fly and by Rao they delivered upon that! Christopher Reeve, an unknown actor with mostly theater credits took center stage of a production, that featured the likes of Brando, Hackman, Beaty, Cooper, Trevor Howard, and Glen Ford. And he made you believe. There was no winking at the audience, no irony, no self conscious body language while in costume. Reeve made you believe he was Superman and he made you believe that Clark Kent was some shlub of a newspaper reporter, who no one could see was Superman. Reeve brought an honesty to a character that exemplifies Truth, Justice and the American Way, in all of its cornball glory. You could make fun of it, until he takes to the skies and you cheer like the 5 year-old inside you, reading his first Superman comic. Then, Reeve and Kidder charm you, as the hard-charging, ball-breaking reporter goes all mushy in the presence of the Man of Steel, who is just as deeply smitten. Hackman gives us a different Luthor, though just as deadly. His scheme is a bit low-aiming; but, it brings plenty of mayhem for our hero to overcome. Soon, the movie started, as a kid opened a comic book and related the story of Superman, and then we got what seemed like an hour of credits, before we arrived on Krypton. It wasn't the futuristic world of Buck Rogers and Flash Gordon that I saw in the comics; it was a strange, cold place, with crystals, aluminum suits, and lots of white light. Three people are on trial and they get sentenced to imprisonment inside a record album cover! Marlon Brando, complete with white spitcurl, puts his son in a giant Christmas tree ornament and shoots him into space, where he slowly ages, while pops yaks on about things. He crashes to a landing in Kansas (or Alberta) and winds up with Glen Ford. After he helps them change a tire, they adopt him and he grows up to be equipment manager for the football team, in the 50s. From there, Pa Kent has a heart attack, after using just 5 minutes to give us the real Jonathan Kent (take notice Kevin Costner) and then its off to Metropolis. We were sitting there, waiting and waiting for the costume and for the man to take flight. 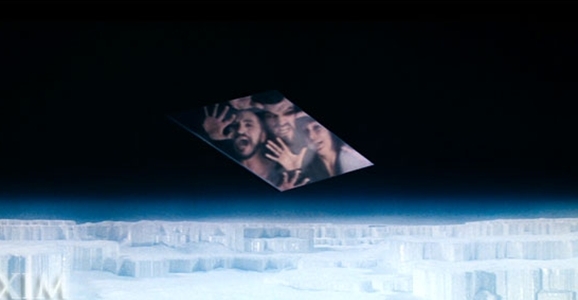 First, the teenager takes a green crystal to the North Pole and builds the Fortress of Solitude, minus the big gold arrow key and door (I really wanted to see that giant door). Then, he gets the costume and flies toward the screen, then banks to the right. And we clapped. After the introductions and scenes of Lois treating Clark like a rube, she changes clothes and climbs into the worst piloted helicopter, ever, and we get the scene above. When Superman took to the sky and caught Lois, cheers rang out and applause deafened us. In a world where America had abandoned a lost cause, a president had resigned, gas prices skyrocketed, and the economy was in a miserable state, a hero emerged and lifted us up with him (after a small band of freedom fighters did the same, the year before). This film was and is all kinds of awesome. I don't care how much special effects have improved, or technology has advanced; nothing has evolved to erase that performance and the emotion that that film brings out in you. No one has gotten Superman exactly right, since, and all live in the shadow o Christopher Reeve, who proved to be even more a hero in real life, as he used his paralysis to raise money to research and cure spinal injuries. He was a Man of Steel, even if his body wasn't. Without this film, there is no Tim Burton Batman, no X-men franchise, no Marvel Films, no Black Panther or Avengers: Infinity War. A lot was riding on an unknown actor and a tv director, with one hit horror film under his belt. Richard Donner wanted to deliver an honest film and he found an honest actor, in Reeve, to portray the ultimate paragon of virtue. Hollywood politics marred the sequel and subsequent films; but, this is the one that gave us the future, much as a little comic book story, from a pair of Cleveland-based teenagers, launched an entire industry and genre. My adolescent self thanked Donner and the Salkinds for that! I remember waiting eagerly for this film to come out and I saw this film at least 5 times - mostly on a matinee at more times than I can in the first two months of its existence. I was in awe and very impressed by this film and declared that Christopher Reeve WAS born to play SUPERMAN. I still watch it and thinking of watching again and still after 40 years -- it's my Number One Superhero Film of All-Time!!! 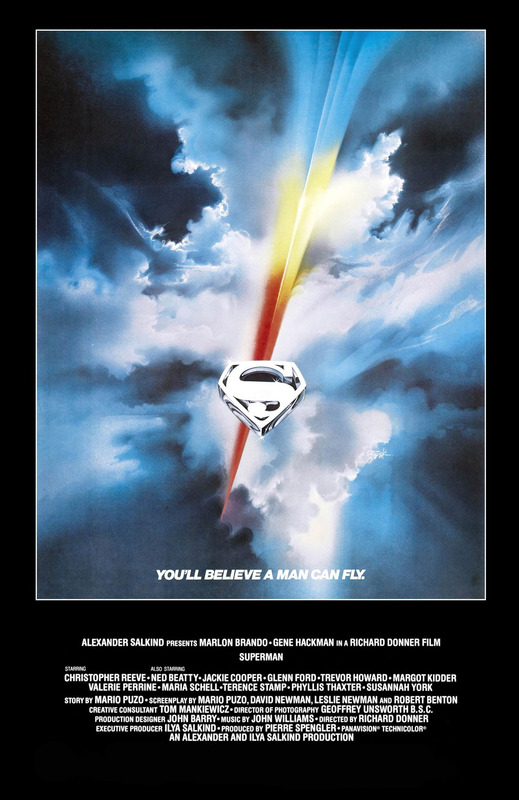 My saddest regret is being of an age at the time that I was unable to see Superman the movie on the big screen. There was no theater closer than an hour away from my home so seeing ANY movie up on the big screen was a rarity until my senior year in high school when my friends were old enough to have gotten their driver's license. I was forced to wait until Supe's premiered on HBO, but boy oh boy did I watch as many viewings as I possibly could. This was CLASSIC Superman stuff that was capable of entertaining you on multiple levels. Story, acting, action, humor and yes even sappy love stuff. And damn if Chris Reeve did not only look like but was able to act like Clark and Supe's being 2 different personalities. 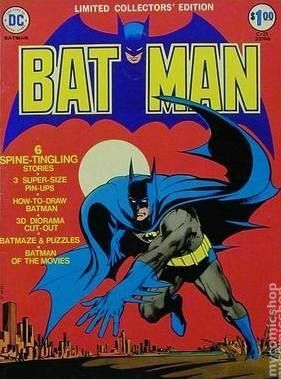 Personally this is one of the best ever comic book to film your money can buy. Yes, the movie is trapped in being a product of the times in which it was made but it still stands stall amidst the vast array of current comic book movies being made and is vastly superior to many that have come and gone since. Christopher Reeve is still the best Superman. He captured the looks and "boy scout" personality of the Superman of the time perfectly! Christopher Reeve was the perfect actor to play both Clark Kent and Superman. I agree no one since him has come close to bringing a comic book character to life like he did. Dinner gave the first half of the movie an epic feel, with many lengthy shots of scenic vistas backed by Williams’ swelling new-Romantic score. The tone changes markedly once Otis enters the frame, however. I understand the need for comic relief, and Miss Teschmacher’s presence speaks for itself, but Lex Luthor would have used a more competent flunkie, or just used a robot.